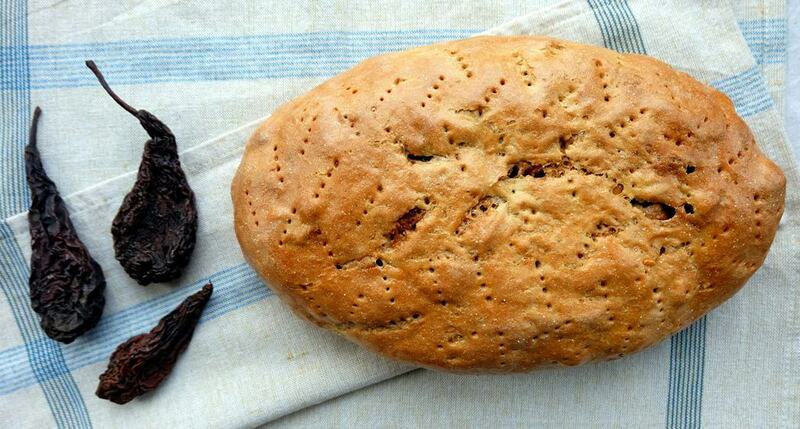 Living in Scotland, I missed Austrian breads and that’s the reason why I started this blog! 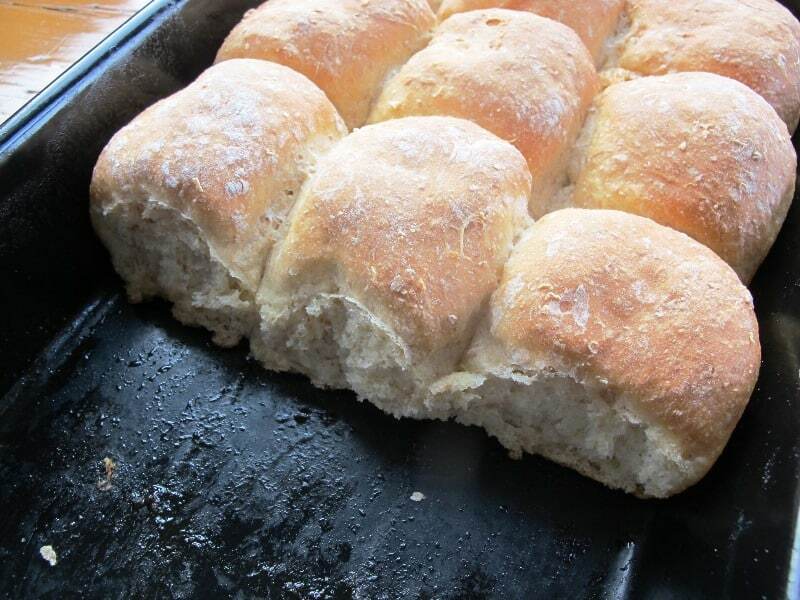 Over the years I’ve built up a nice collection of Austrian bread recipes – different bread types and styles – including traditional family recipes. 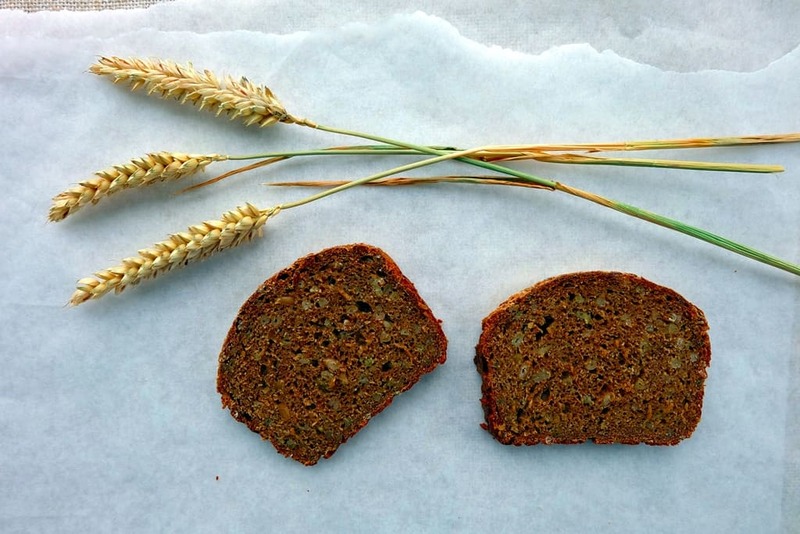 Experiment with Brotgewürz (bread spice mix) to give your Austrian black breads their authentic flavour. 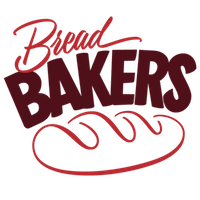 I’m adding Austrian bread recipes frequently, so check back in if you haven’t found what you’re looking for or leave a comment with a request! Although vegetarian and vegan dishes have become much more common on Austrian restaurant menus, the Gemüsestrudel (vegetable strudel) has traditionally been one of the token veggie dish on many Gasthaus menus. Quite remarkably for Austrian Gemüsestrudel recipes however, these typically come with ham (!). Dairy products (curd cheese, crème fraiche, milk, cheese) are also heavily used in Austrian vegetable strudel recipes. I left the ham out of this version of my mum’s vegetable strudel recipe, but you will see, it is still a far cry from a vegan recipe. It’s delicious though, and all the hard work that goes into the preparation is definitely worth it! This vegetable strudel recipe can perhaps be more accurately described as vegetable-cheese strudel as cheese and other dairy products including curd cheese feature heavily in the filling. As the strudel dough needs to be rolled out quite thinly, it’s advisable to use a very large soft linen cloth (Strudeltuch e.g. 120 x 100 cm) or otherwise a large cotton kitchen towel to roll out the dough and assemble the strudel. This makes it much easier to transfer the dough to the baking tray. 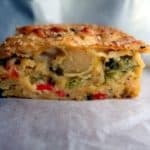 The vegetable strudel recipe below is made with homemade Strudel-dough, but if you are short in time, you can use shop-bought puff pastry or filo pastry. Any leftovers can easily be frozen. A deliciously cheesy vegetable strudel, as per an Austrian recipe from my mum. Put together your own vegetable mix based on your preferred veggies or based on seasons. Spring Strudel (Kohlrabi, cauliflower, asparagus, broccoli, spinach, wild garlic, leeks), Summer Strudel (mushrooms, beans, tomatoes, courgettes, fennel, peppers, aubergines, peas, sweet corn), Autumn Strudel (pumpkin, cabbage, root vegetables, potatoes), Winter Strudel (carrots, cabbage, Brussels sprouts, shallots). Boil 300g potatoes and mash them. 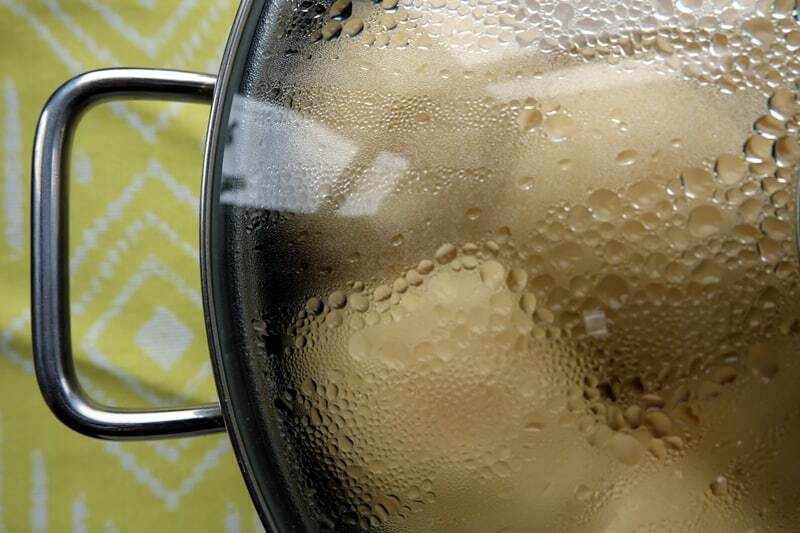 If you prefer a finer texture, you can also use a potato ricer to process the boiled potatoes. Cut the pepper and the carrot into small cubes, mince the garlic and thinly slice the leek. Using a knob of butter, fry these vegetables for around 10 minutes. Briefly simmer the frozen peas and frozen sweetcorn kernels, then strain well and add to the fried vegetable mix. The vegetables should retain 'bite' and not be overcooked. Altogether, you should use about 500g of vegetables (fresh and frozen). Make sure there is no excess liquid left in the vegetable mixture by the time you set it aside to cool. Start by placing the butter in a pot to heat up, then add the diced onions. Fry for a few minutes - don't let the onions brown. Add the flour and stir thoroughly for a minute. Add the milk and nutmeg and continue stirring until the sauce has thickened. Take away from the heat and leave to cool. Combine the dough ingredients in a medium bowl and mix together. I do this with my hands. Knead well until you have a formed a smooth dough. Don't be tempted to add any more water to the dough. It will come together well, just give it some time. Shape dough into a ball, brush with a little oil, place back in the bowl and cover the bowl. Leave to rest for 30 minutes at room temperature. This helps the dough structure to relax and makes it easier to roll/shape later on. In a large bowl, combine the cooled Béchamel Sauce, curd cheese, crème fraîche, egg yolks, grated cheese, herbs and oats. Mix well. Add the vegetable mixture and mashed potatoes and mix well. Season to taste with salt and pepper. In a smaller bowl, combine the egg whites and starch and whip until stiff. Carefully fold the stiff egg whites into the remaining filling. The filling should not be wet so it doesn't soak through the dough while you assemble the strudel. Flour your work surface (ideally a large linen or cotton kitchen towel) and use your hands to form the dough ball into an even rectangle. Flour the dough rectangle to prevent it from sticking and - using a rolling pin - take care to roll out the dough into a bigger rectangle. Line a suitably big baking tray with baking paper. Distribute the filling across two thirds of the strudel dough, leaving at least 1 cm around the edges free. Brush the final third with butter. 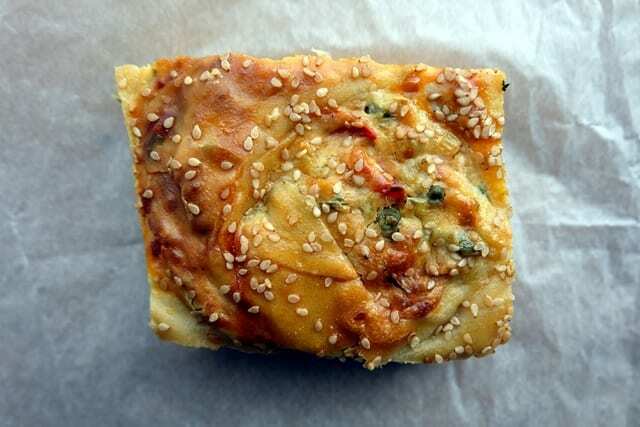 Fold in the sides of the dough slightly over the filling to seal the sides. 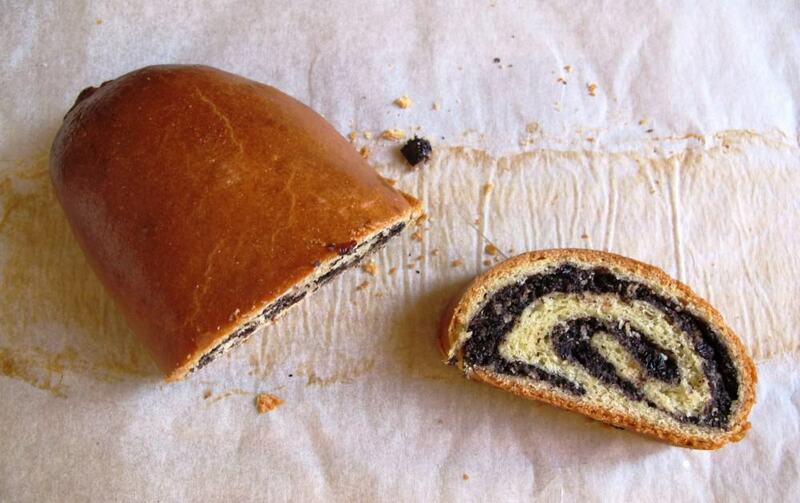 Roll into a strudel and carefully seal all the ends. If you are using the linen or cotton towel, the rolling can be done just by lifting the towel to roll the dough. Place seam-side down onto the baking tray. Again, this process is easier if you are using the cloth, as you can lift the strudel much more easily like this and carefully roll it onto the baking tray. Brush with the egg and sprinkle with sesame seeds. Serve warm with a side salad. Serve with a crisp side salad. Dampfnudeln are a regular Friday lunchtime dish in my grandmother’s kitchen. 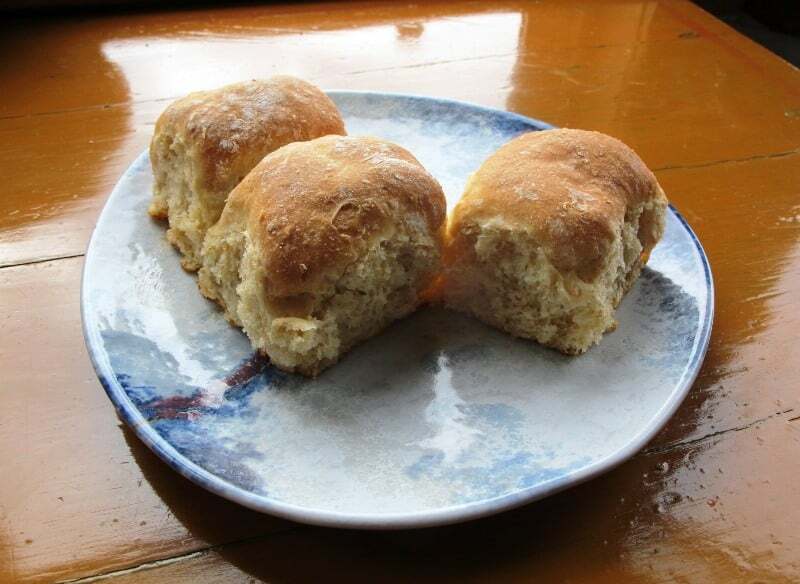 Bread buns are placed on a bed of apples and steamed on the hub for about 30 minutes. They are incredibly light and delicious and I wanted to share the Dampfnudeln recipe here on the occasion of this month’s #BreadBakers theme ‘Steamed Buns’. The Austrian/German delicacy also featured in the Great British Bake Off 2016 as a technical challenge. My granny’s recipe, based on Dampfnudel variation from the Innviertel in Austria and I think this version of the recipe is also popular in neighbouring Bavaria. The Dampfnudeln are steamed on a bed of lightly spiced apples. This recipe provides 6 portions. Check out that airy crumb! Combine all dough ingredients in a large bowl. Place back into the bowl, cover and leave to rest for 45 minutest at room temperature. 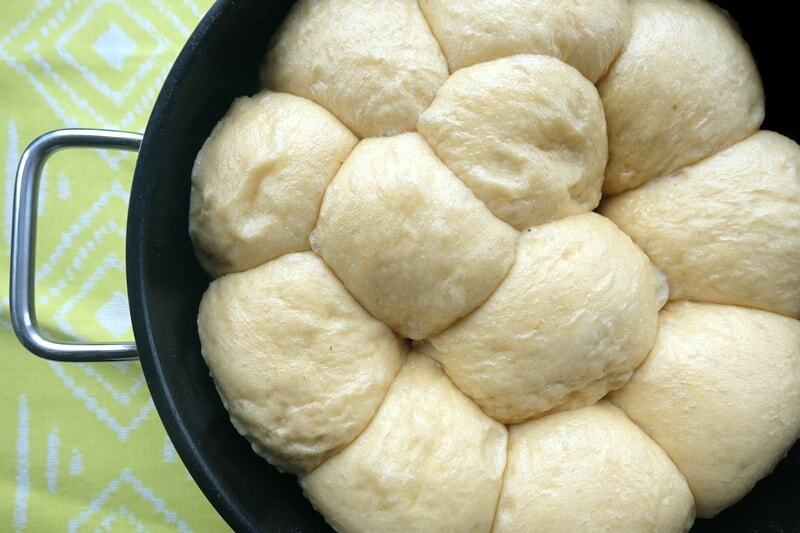 Punch down the dough and divide into 12 equal pieces. Shape the pieces into buns and place onto a pre-floured surface. Cover with a clean kitchen towel and leave to proof for about an hour. The buns should grow significantly in size during that time. Prepare the apples while you are waiting. 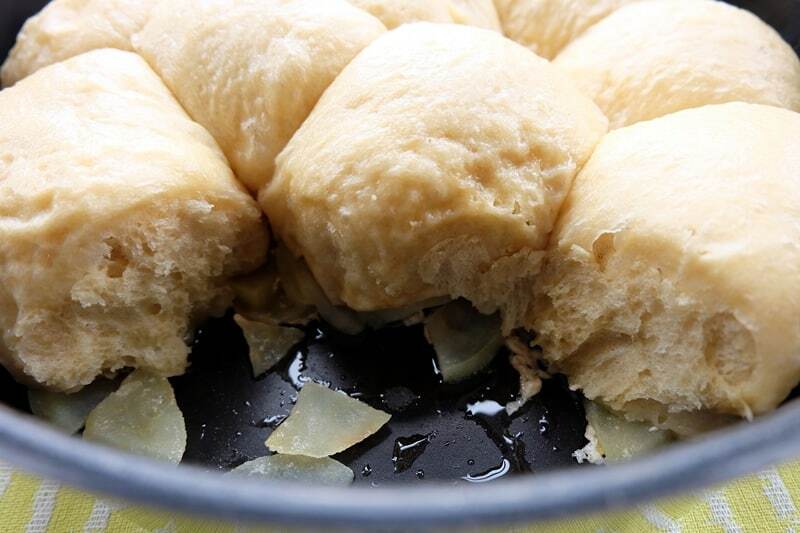 Once the dough buns are ready, melt the butter in a large (circa 30 cm in diameter) non-stick frying pan (you need a tight fitting lid for it too) on a low heat. Evenly distribute the apple pieces in the pan and sprinkle the sugar on top, then add the milk. 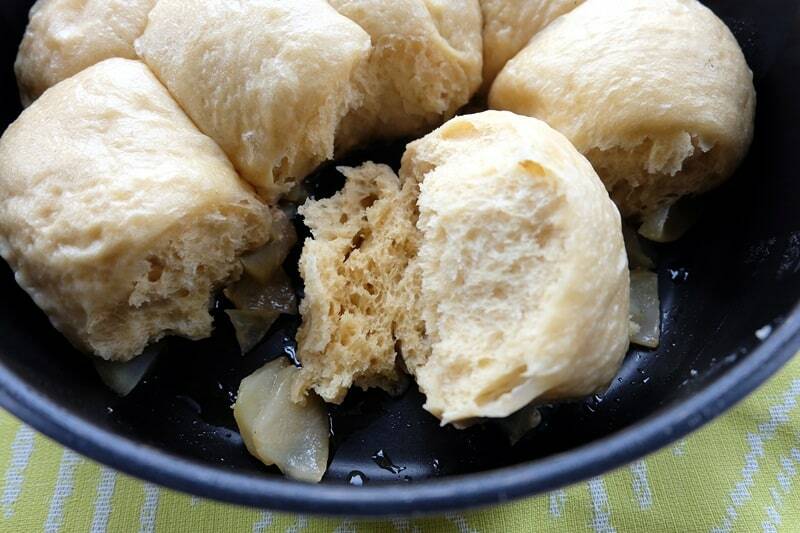 Carefully place the dough buns on the apple base and cover the pan with the lid. Don’t take the lid off again (or even slightly lift it) until the buns are fully done as they otherwise deflate. Turn up the heat to medium to bring the liquid in the pan to boil. After 15 minutes, turn down the heat to the lowest level and steam for another 15 – 20 minutes. Leave to rest for a few minutes once the heat is off before you take the lid off. If you like this Austrian steamed bread recipe, check out this plum preserve filled steamed bread recipe for Germknödel and here are also my fellow #BreadBakers’ recipes. I’m sure my Austrian roots have something to do with my slight addiction to the flavour of caraway seeds. In Austrian cuisine, caraway seeds are used abundantly, from flavouring roast pork to enhancing salad dressings. Most notably, Austrian dark breads frequently use caraway seeds as part of the Brotgewürz which is used to flavour the loaves. 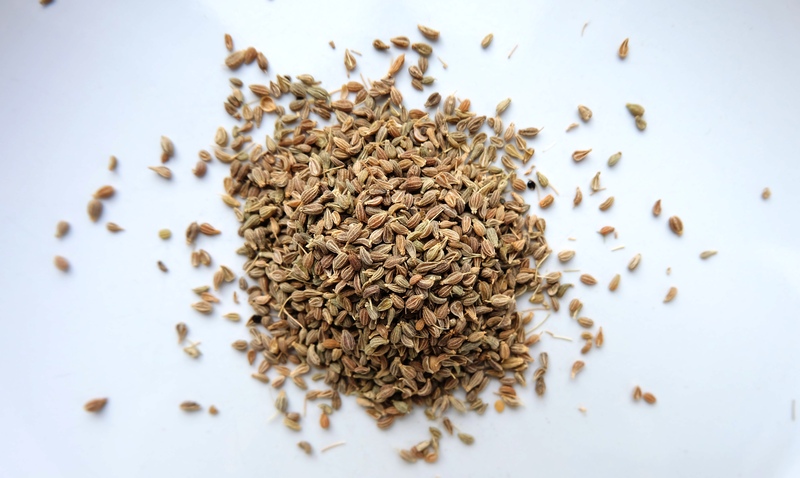 Caraway seeds are superb bread flavour enhancers, some of the top seeds to add to breads and perfect for rye breads specifically. Here is my caraway seed bread recipe, based on a combination of wholemeal rye flour and white wheat flour, leavened with sourdough. 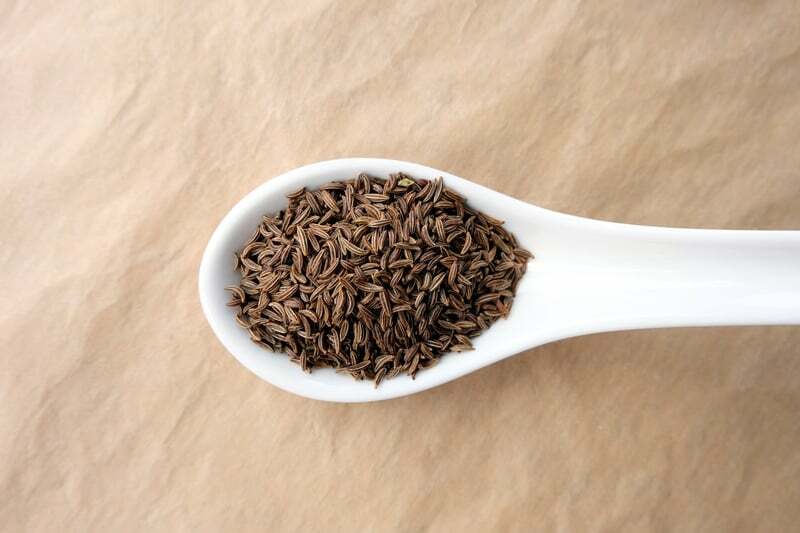 Are caraway seeds good for you? Caraway (carum carvi) belongs, like coriander, fennel and celery for example, to the family of Apiaceae or Umbelliferae. Not technically seeds, caraway ‘seeds’ are the split halves of the dried fruits of the plant. 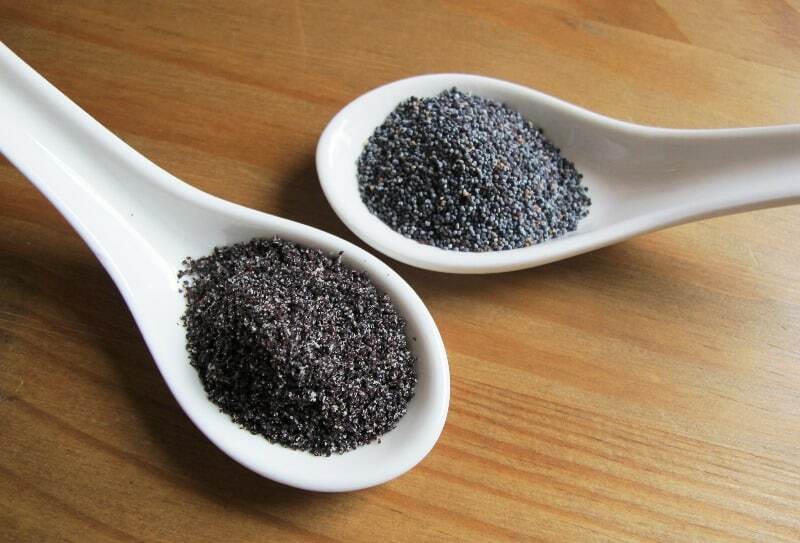 The effect of caraway is mainly related to the essential oil containing Carvon, which has a stimulating effect on the stomach and a soothing impact on the bowel. Two digestive bonus points at once. 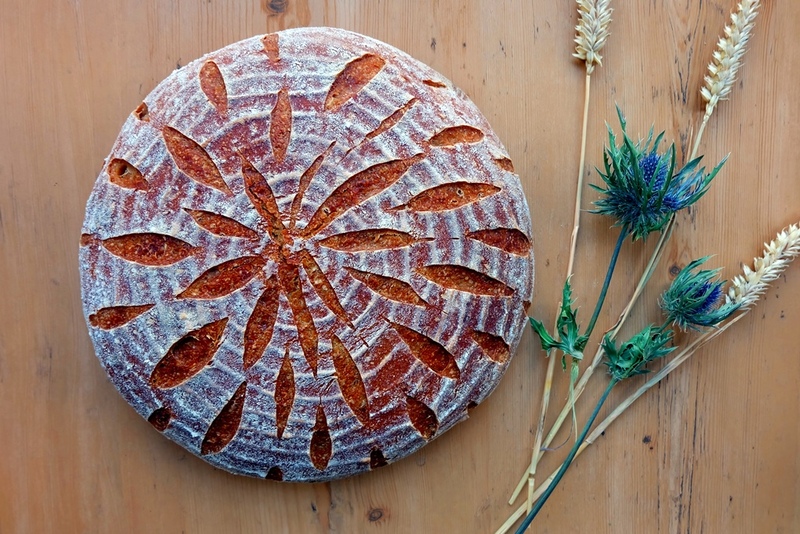 At the same time, the delicate, aromatic but slightly bitter taste of caraway adds a completely new dimension to breads. A great bread for tasty sandwiches or creamy vegetable soups. Delicious also with pastrami, mustard and gherkins (my personal favourite). Add slightly more or less caraway seeds than recommended below to intensify or lessen the flavour kick. The sharpness of the mustard and gherkins works incredibly well with the distinctively bitter, yet warm and sweet taste of the caraway seeded bread. Prepare the sourdough by combining the various ingredients in a medium bowl. Mix well and cover the bowl. Leave to rest overnight (16 – 24 hours). On day 2, prepare the main dough by combining 300g of the sourdough from day 1 (the remaining 30g go back into the fridge for future bakes) with the main dough ingredients. Mix well and knead the dough for at least 10 minutes. Rest for about an hour, then shape into a loaf before placing it in your pre-floured proofing basket. Leave to proof for a few hours (this will depend on your room temperature), then preheat the oven. If you have a La Cloche baking dome, preheat this in the oven from cold. Turn out the loaf from your proofing basket to the baking tray (lined with baking paper) or the La Cloche dome. Make a few slashes with your scoring knife. Bake for 10 minutes at 220°C and for another 45 minutes at 200°C. Take the lid off the dome for the last 10 minutes if using the La Cloche dome. 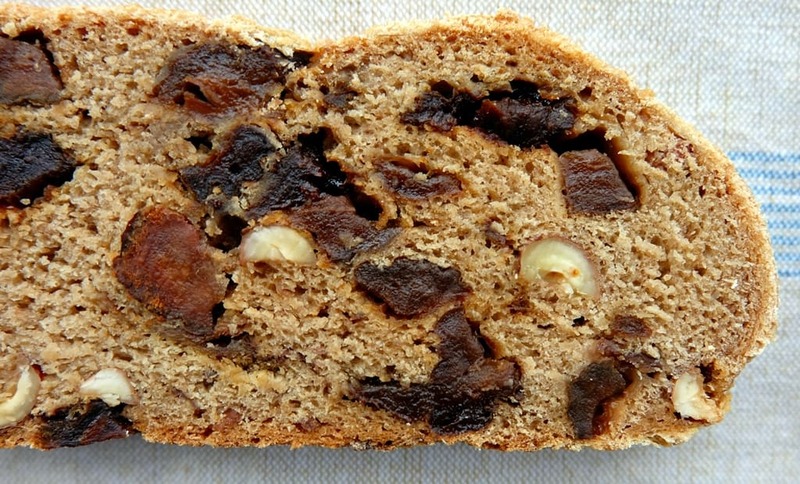 My childhood memories of Kletzenbrot, an Austrian Christmas fruit bread, are somewhat limited as I was never a huge fan. The Kletzenbrot (which translates as ‘dried pear bread’) I was typically presented with was always just a little bit too full on for me, too fruit-laden and too overpowering in terms of spices. Kletzenbrot of this kind consists of a fruit-only centre with just a thin layer of dough covering the moist, squidgy mixture. I like a bread with plenty of dough, where the fruit plays an important but supporting role, hence the reason for my dislike! Baking bread at home has allowed me to create my own version of the traditional classic Kletzenbrot recipe. Here is my take on Kletzenbrot, the way I like it. 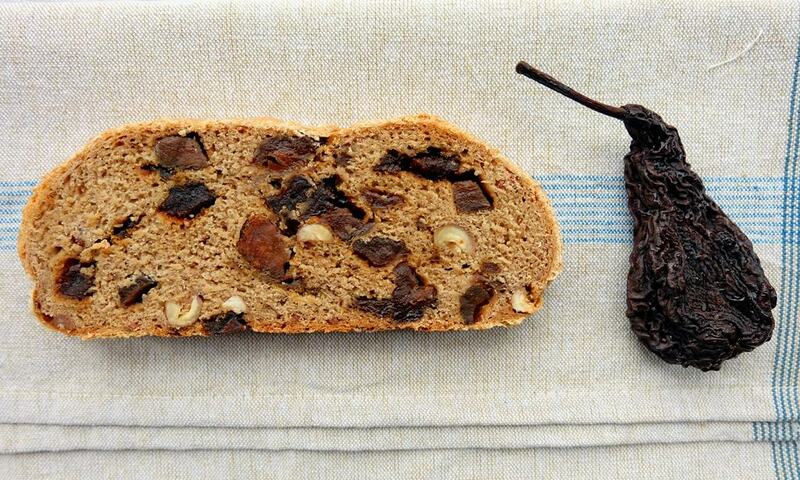 A variety of fruit is commonly used for making Austrian Kletzenbrot including dried pears, figs, dates and raisins. I’ve always found that the dried pears are a little bit lost in this mix and I wanted their taste to take centre stage. 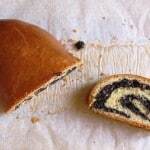 Kletzenbrot should be all about the Kletzen – don’t you agree? 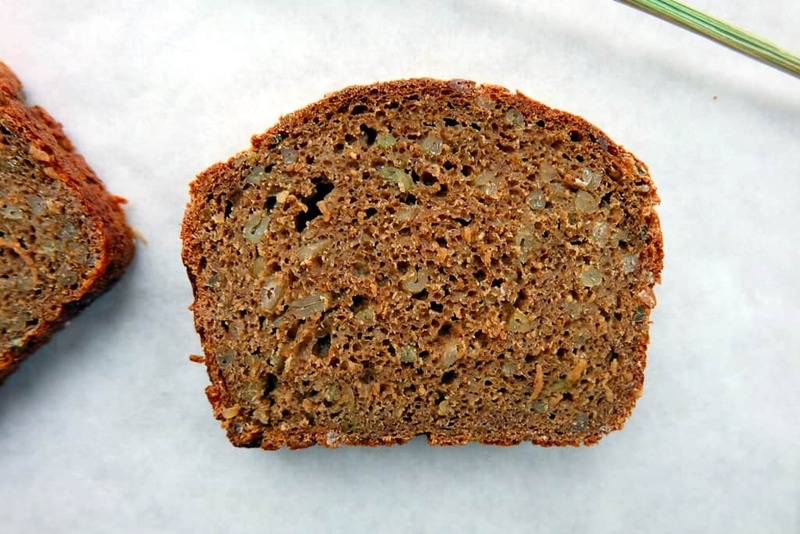 Therefore, this is a Kletzenbrot recipe for purists – chunky bits of dried pear (no other fruit) baked into a lightly spiced rye and wheat dough. 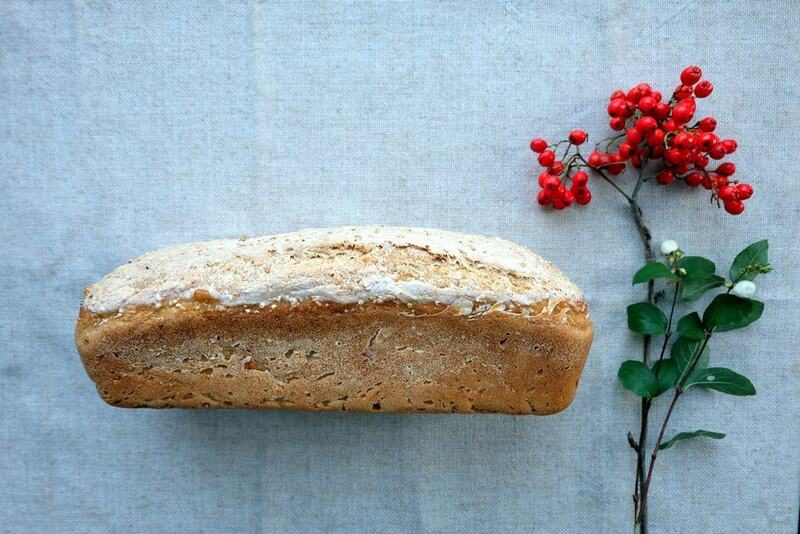 Try my version of Kletzenbrot – it’s a lovely fruit bread all year round. I usually buy Kletzen in a local market in my home town in Austria. These are different from standard dried pears as Kletzen are made from specific old pear varieties which are grown on Austrian farms specifically for drying. These pears have a firm peel and pulp and a high sugar content but are not usually consumed raw. Instead, they are dried with the peel. If you would like to get the real deal but you don’t have access to an Austrian farmers’ market, you can order Kletzen online from this Austrian specialties shop. My Kletzenbrot recipe is prepared with a yeasted dough and, although there are quite a few steps involved, you can complete the bread in an afternoon. If you prefer more fruit in your loaf, you can easily increase the fruit content. Use the same dough quantities but with more fruit (and nuts) to achieve a fruitier loaf. Make this delicious Austrian Christmas fruit loaf in the run up to Christmas or enjoy any time of the year as a breakfast bread. The Kletzenbrot recipe may seem complicated, but it'll all come together quite easily, give it a go! Place the fruit and nuts into a pot, add the rum and enough water to cover the fruit and nut mixture. Boil up briefly and simmer on a very low heat for 45 minutes. Strain and keep the liquid so you can use the fruity water for the dough. Prepare the main dough using the flours, yeast, salt, ground spices and the fruity water. Add more water to make up the required quantity if you don't have enough sieved water. Knead for about 10 minutes, then add the fruit and nut mix until evenly distributed. Place the main dough into a large bowl, cover and leave to rest for about 1 1/2 hours at room temperature. In the meantime, prepare the dough for the outer layer (see ingredients for the dough shell) by combining the flours, yeast, salt and water. Knead for 10 minutes, then place the dough into a small bowl and leave to rest for about 1 1/2 hours at room temperature. Go back to the main dough once risen, punch down and divide the dough into two equal parts. 10. 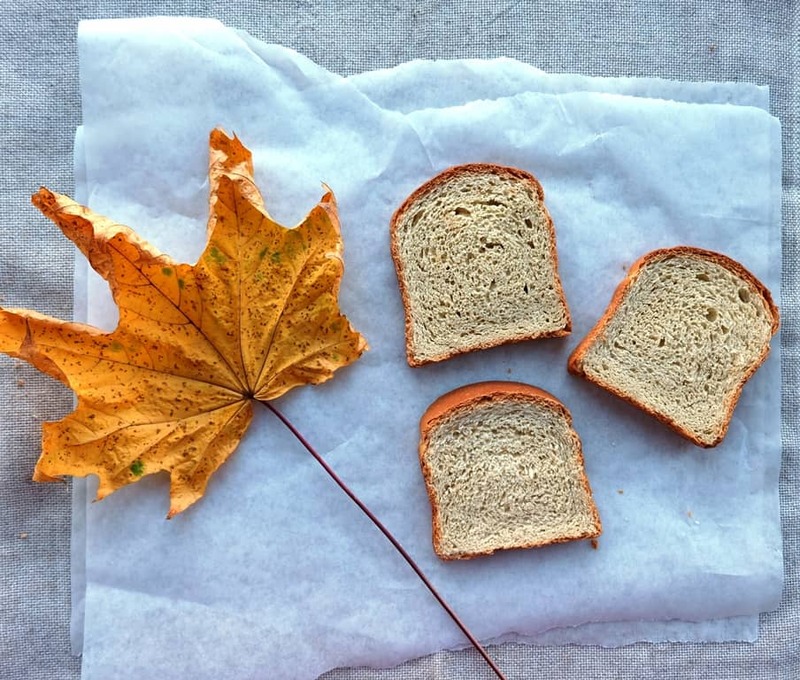 Shape each part into a flattish oval loaf and place them on two baking trays lined with baking paper. 11. Take the dough you prepared for the outer layer of the loaf. This is going to be the outside hull which is going to be used to avoid the fruit from burning. Divide into two equal parts and, with a rolling pin, roll out the dough to about 3 mm in thickness. 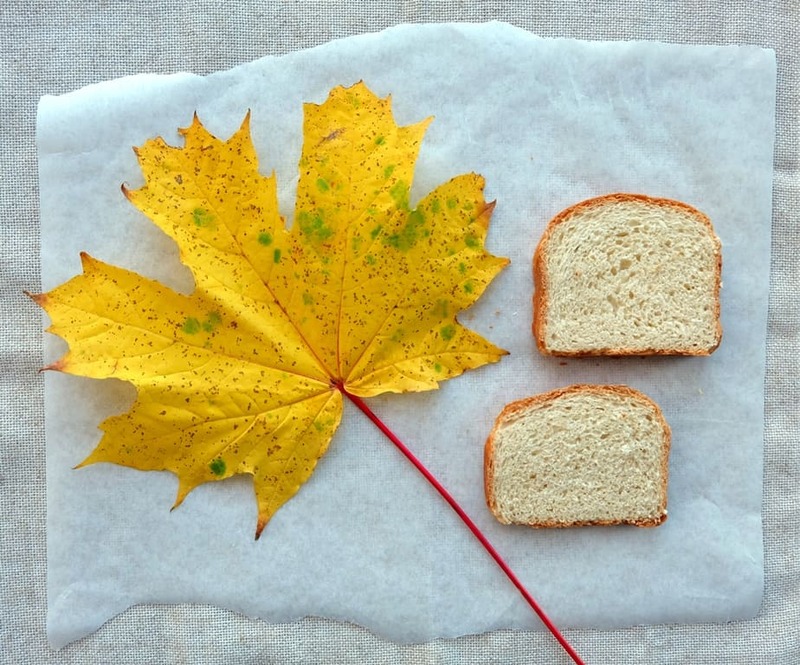 Roll out with a view to wrap the two fruit loaves you prepared, then gently cover the loaves. The dough shell doesn't need to cover the fruit dough at the bottom, simply tuck in the outer layer so it doesn't peel off during the bake. Finally, make sure the outer and inner dough parts are well connected. 12. 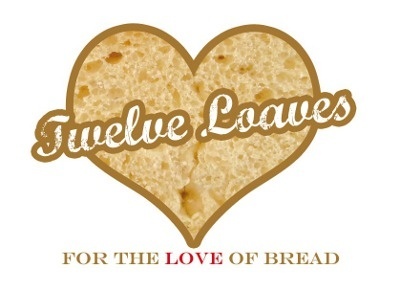 Use a fork to make a decorative pattern on each of the loaves. 13. Rest for 30 minutes and preheat the oven to 190°C in the meantime. 14. Brush the loaves with water and bake at 190°C for 10 minutes. Turn down the heat to 170°C and bake for a further 25 minutes. Cover the loaves with tin foil in case they brown too quickly. 15. Just before you take the loaves out of the oven, prepare the mixture for brushing by bringing the water, potato starch and sugar to the boil. Watch carefully and take it off the heat as soon as it has gelatinised. 16. Brush on the mixture when the loaf is still hot. 17. Cool on a wire rack. 18. Serve with butter, it's delicious! Browsing the local delights of the organic grocery store in my home town in Austria, I picked up a bag of Grünkern. The greenish grains looked pretty and unique on the shelf! Grünkern grains are unripe spelt kernels cultivated predominantly in Southern Germany. Although mainly used for soups and vegetarian burgers, I wanted to incorporate some of this unique green spelt grain in a sourdough Grünkern bread. Grünkern (German for ‘green kernel’) is spelt, harvested when green, in the dough stage of ripening, and then dried. Historically, harvesting spelt so early and before it reaches its full ripeness was a reaction to periods of adverse weather, which destroyed crops and resulted in poor harvests. It was a way to prevent crop failure. The green spelt grains are harvested when the starch isn’t fully developed and the kernels are still soft and juicy at about 50% moisture content. Grains are dried over a beechwood fire or in hot air dryers – right down to a moisture content of 10 to 13%. Once dried, the outer husk is removed. Have a look at gruenkern.de for more information around the harvesting process, then and now. The dried green spelt kernels smell aromatic and a little bit like fresh hay. The aroma remains uniquely pleasant and hearty when cooked with water, so it became a tradition to harvest a portion of the spelt as Grünkern. Grünkern doesn’t tend to be milled and is typically available as whole grains or chopped grains. If this sounds similar to another grain, Freekeh, then you are right. 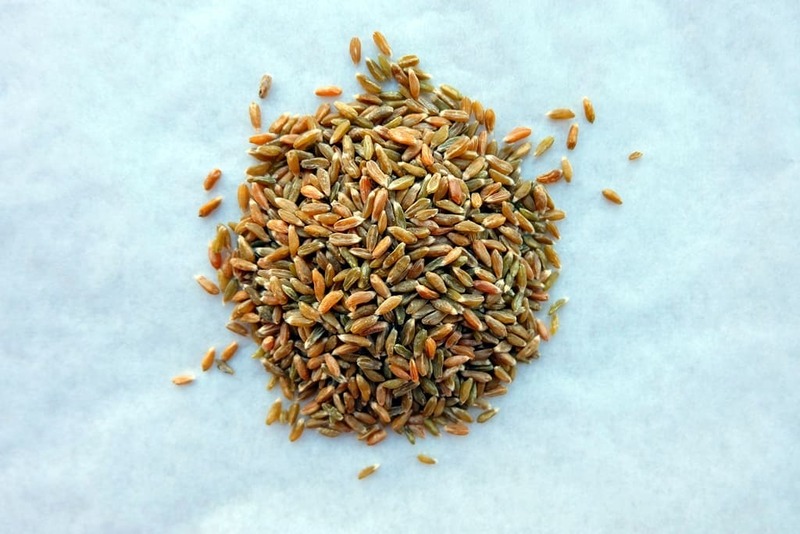 Freekeh is also harvested green, then roasted. The difference? Freekeh is made from green unripe durum wheat and dates back to the ancient regions of Egypt, Lebanon, Jordan and Syria while Grünkern is made from spelt and is still mainly produced in Germany. Watch these videos showcasing the Grünkern harvest back in the 1970s in Germany. Where to buy Grünkern in the UK? I’ve only seen Grünkern on Amazon in the UK. Unfortunately, other probable places such as Real Foods or Buy Whole Foods Online don’t seem to stock it. 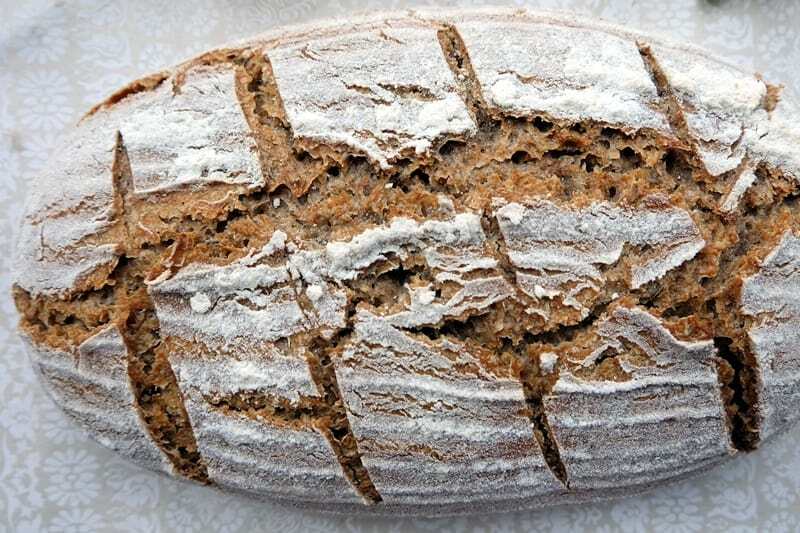 This recipe adds Grünkern to a wholemeal spelt sourdough loaf. Adding black treacle enhances the flavours, but you can easily leave out the treacle if you would like to taste the pure Grünkern flavours. 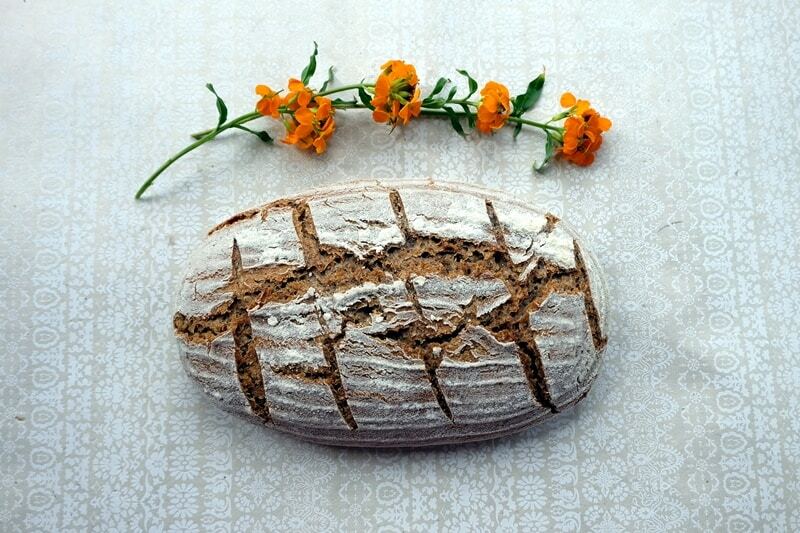 Prepare the sourdough by combining your spelt starter with the spelt flour and water. Mix well in a bowl, cover with a lid and leave to stand at room temperature for 16 – 24 hours. Combine Grünkern and water in a pan, cover and leave to soak overnight. Drain the Grünkern and bring to a boil in a pan with 350g water. Simmer over a low heat for about 15 minutes. Drain any remaining water. In a large bowl, combine 440g of the sourdough (the remaining 25g go back into the fridge for your next bake) with the main dough ingredients. Form a dough and knead for 10 minutes. Add the Grünkern to the dough and knead until evenly distributed. Place the dough back into the bowl, cover and leave to rest for 1 hour at room temperature. Prepare a baking tin (23 x 11 x 9.5 cm) by lightly oiling it. I use a silicone brush to do that. Place the dough into the tin and prove for 2 – 4 hours depending on the temperature in your room. 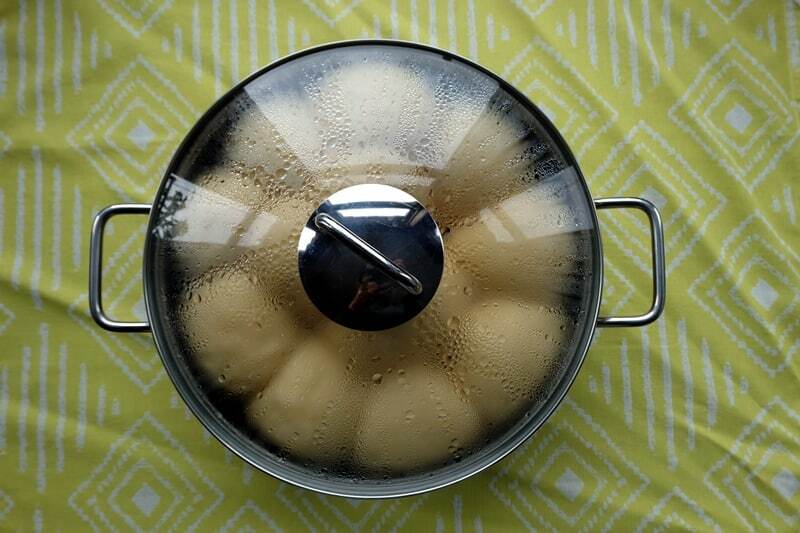 The dough should rise visibly, filling the tin to the top. Place the baking tin on the second layer from bottom up and bake for 15 minutes, then bake for a further 25 minutes at 180°C and a final 10 minutes outside the tin at 180°C. 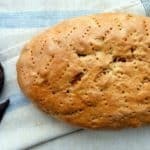 This millet bread recipe makes a perfect breakfast bread and delicious accompaniment for vegetarian stews. The recipe bakes a bread with a moist and spongy crumb and crunchy crust. Little grainy millet beads are baked into the dough. It keeps well and stays moist for days as the millet grains are great for retaining moisture. I use yellow millet (panicum miliaceum) grains in this recipe. The toasted, soaked and boiled grains form part of the dough and a small quantity of grains can also be used as topping for an interesting appearance and texture. 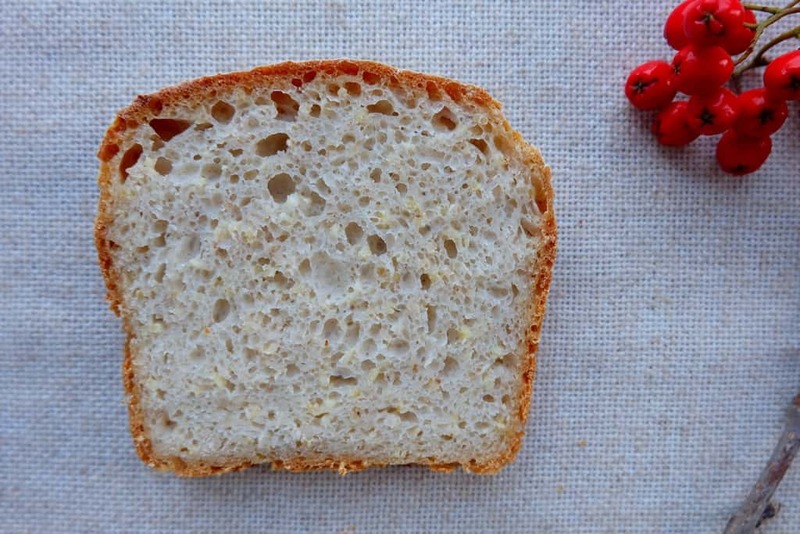 This millet bread recipe uses sourdough as the raising agent, no yeast. Refresh your sourdough on the day before baking and also prepare the toasted millet seed soaker. You’ll then prepare the millet polenta, the main dough and proof the dough before baking it. Combine all ingredients in a medium sized bowl, mix well, cover and leave to rest at room temperature for about 24 hours. 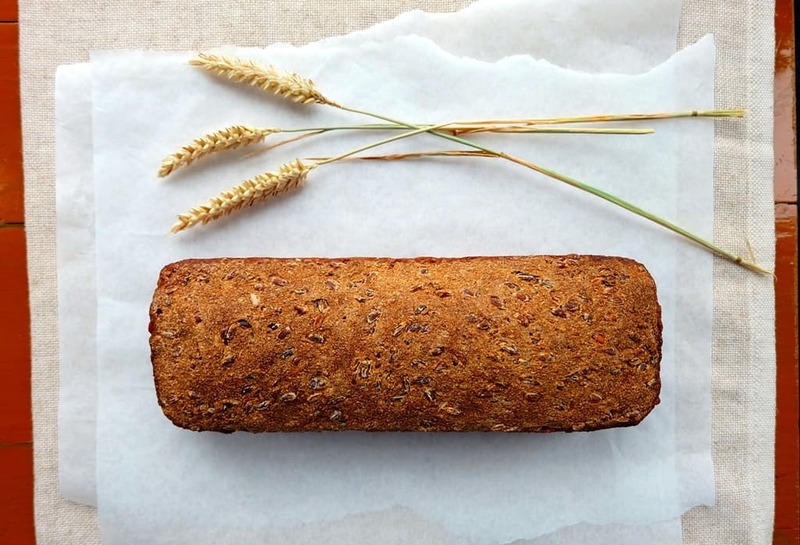 Gently toast the millet grains to darken slightly and release their nutty flavour. 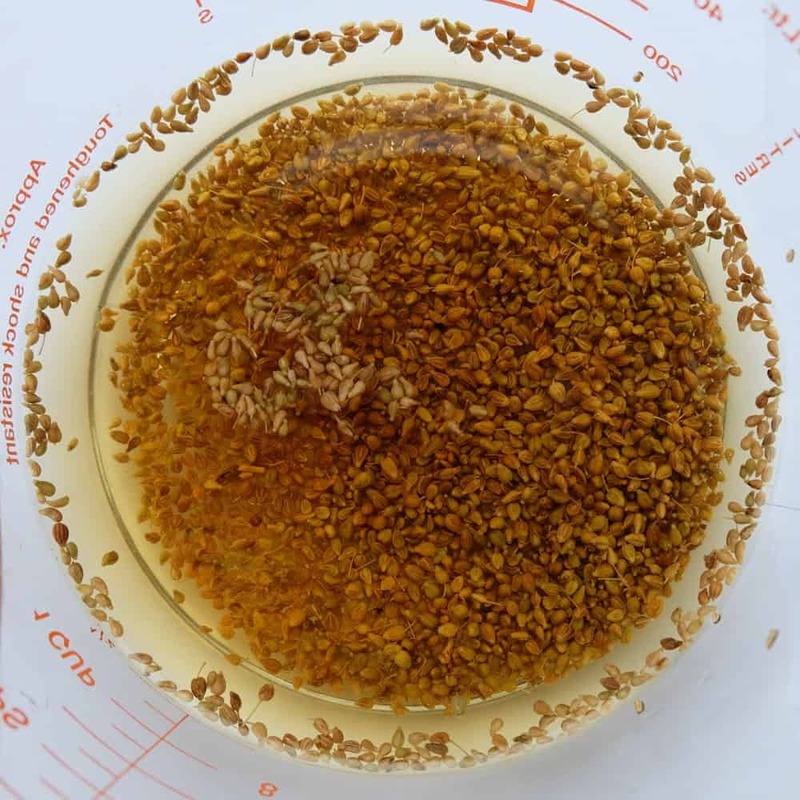 Soak the millet grains in the cold water. 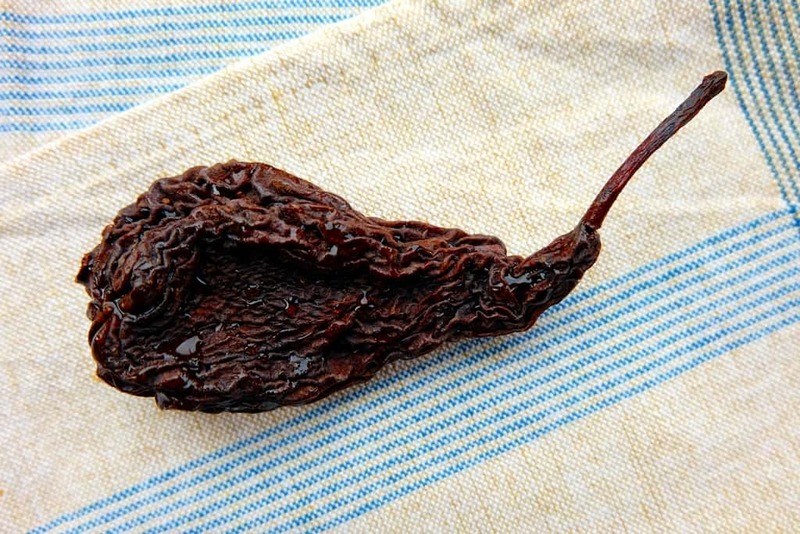 Cover and keep at room temperature for about 24 hours. Pour the millet grains and water into a saucepan and bring to boil. Simmer and cover for about 15 minutes until all the water has cooked away. Be watchful and stir often. Fluff up the millet with a fork, cover with a clean kitchen towel and set aside to cool. Combine 210g sourdough (rest goes back into the fridge for your next bake) and all main dough ingredients in a large bowl. Turn out onto your work surface and knead for about 10 minutes until you get a smooth, elastic dough. Place the dough back in the bowl, cover with a lid and leave to rest for about an hour. Add the boiled and cooled down millet, knead in carefully until evenly distributed. Place the dough back in the bowl, cover and leave to rest for about an hour. Oil a loaf tin with the sunflower oil. I use a pastry brush to do this. Deflate the dough, shape into a boule to fit into the loaf tin and carefully place the dough into the tin. Cover with a polythene bag to proof for 2 to 5 hours (depending on the temperature in your room). Alternatively, you can also proof the dough in the fridge for about 24 hours. Bake for 10 minutes at 220°C, then for a further 40 minutes at 200°C. 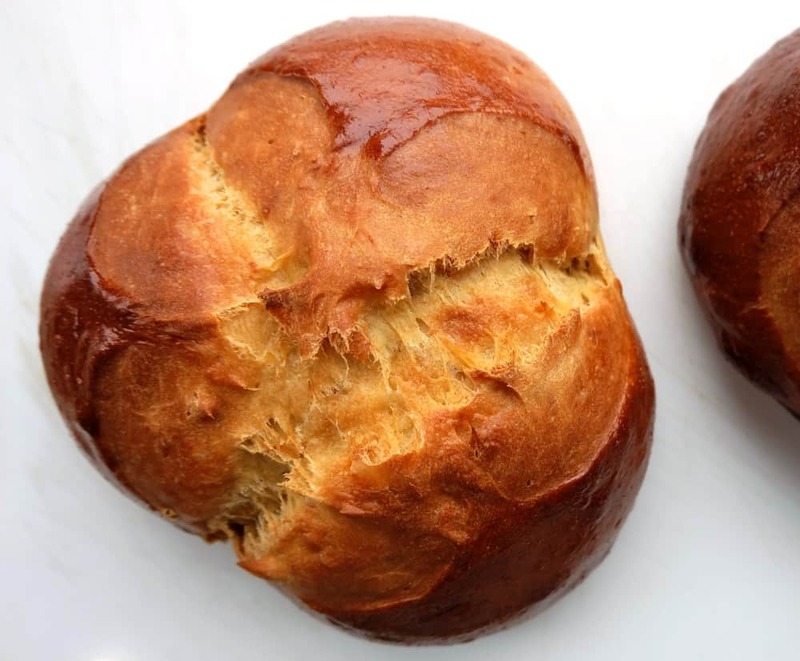 Osterpinze is a delicious Easter bread, made with an enriched yeast dough (milk, eggs, egg yolks and butter) and flavoured with anise wine and lemon zest. 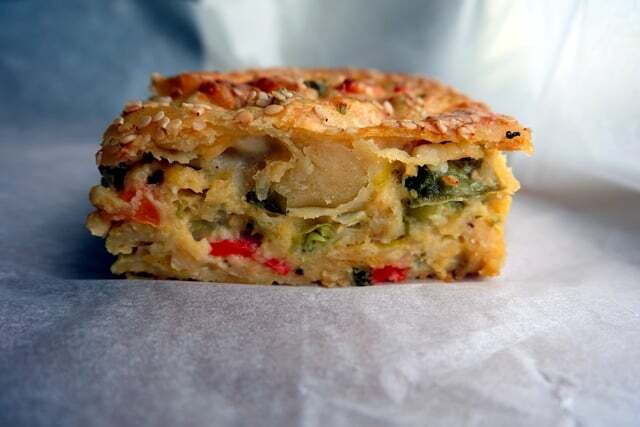 It’s traditionally baked for Easter in the South of Austria (Styria), although its origins can be traced back to the region of Friuli in Northeast Italy. The traditional way the dough is cut into three sections gives the Pinze its unique appearance. Baked especially for Easter, it can be eaten at breakfast, afternoon coffee or for Easter-Jause served with ham, freshly grated horseradish, hard-boiled eggs and radishes. The dough is just lightly sweetened, so it goes well with many dishes. The anise wine flavour is subtle and I recommend it even to those of you who are – like me – not a big fan of licorice. Combine all the ingredients in a small bowl, mix well, cover and keep at room temperature for the next day (about 16 hours). In a small saucepan, whisk the milk and flour until lump free, heating it up while whisking. Cover with cling film and let it cool down to room temperature before placing it in the fridge for the next day. Mix all of the ingredients in a small bowl, cover and keep at room temperature. In a small bowl, combine the wine with the anise, cover and keep at room temperature. This will extract the anise flavour. Prepare the sourdough, milk roux, sponge and anise wine on day 1. On day 2, sieve the wine and discard the anise. Combine all the main dough ingredients (don’t forget to place a little bit of the sourdough back in the fridge for your next sourdough bake). Cover the bowl well and leave to rest for an hour or two (depending on the temperature in your room, until the volume has increased significantly). 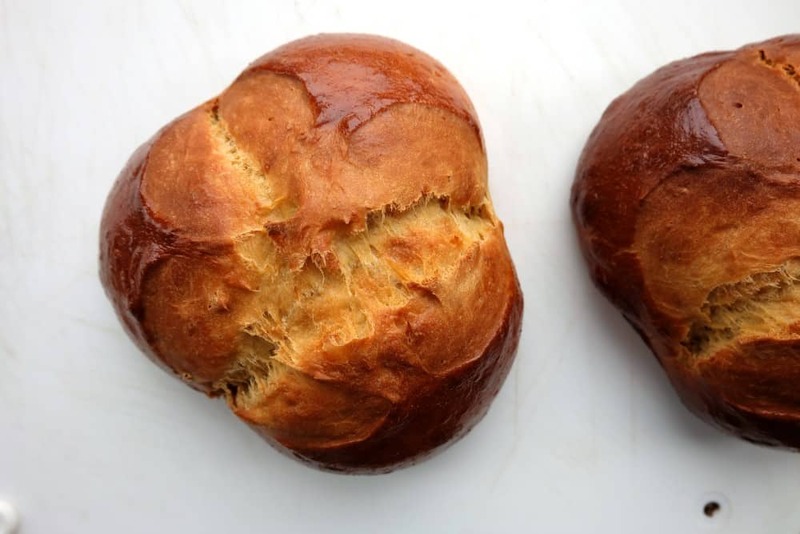 Divide the dough into two/three equal parts and shape into boules (LINK). 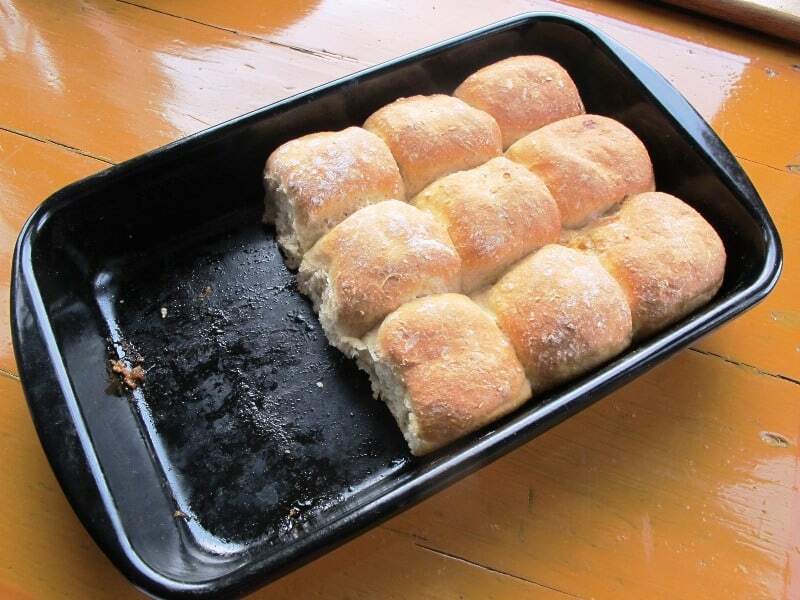 Place the boules onto a baking tray lined with baking paper (make sure there is sufficient space between them). Cover with a cloth and leave to proof at room temperature for an hour or more. Brush with the egg and leave it soak in slightly. Then cut the dough three times from the centre to the edge with a pair of scissors. Bake at 200°C. Reduce the heat after 5 mins to 180°C and bake for a further 35 mins. I served Osterpinze with honey this morning and with a ham and cheese board this afternoon. In both instances, the slices of Osterpinze were a perfect match. 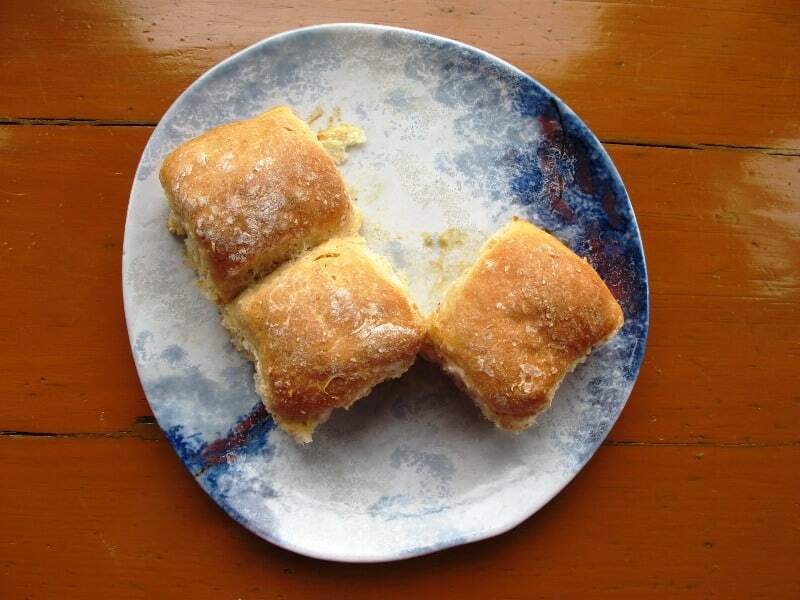 Buchteln or Rohrnudeln are sweet baked pull-apart yeast buns. These are traditionally filled with jam or baked on a bed of fruit (most commonly plums or damsons). The Buchteln are packed closely in a large baking dish (usually made from enamel) to stick together. They are served warm for afternoon coffee/tea or dessert and even for breakfast. The origin of Buchteln can be tracked back to the region of Czech-Bohemia, but they are very common in Austria and Bavaria too. Approx. 1 large tbsp of jam per bun. Use firm, not runny jam. I usually use strawberry, raspberry or any other red berry jam as the colour looks particularly nice in the buns. In the photos here I have used rhubarb jam. In a large bowl, prepare a sponge with the flour, yeast and lukewarm milk. Cover and leave in a warm place for an hour or two. Once your sponge is nice and bubbly, add the additional ingredients and knead into a firm-enough dough although it will be a little bit sticky. Place the dough back in the bowl, cover and leave to rise again until it has increased considerably, for about an hour or two, depending on the temperature in the room. On a floured surface, flatten the dough to about 2 cm. With a dough cutter, cut out pieces about 6 cm in diameter, fill with 1 tbsp jam, fold and close the edges tightly at the top. Place side-by-side (not too snugly as they will expand!) in a well buttered baking tray with the folded edge facing down. I use a 32 cm x 20 cm enamel pan like this. Bake in a preheated oven at 180 °C for about 25 minutes until golden yellow. I love how they snugly fit together in the pan and how easily they come apart when you need one.